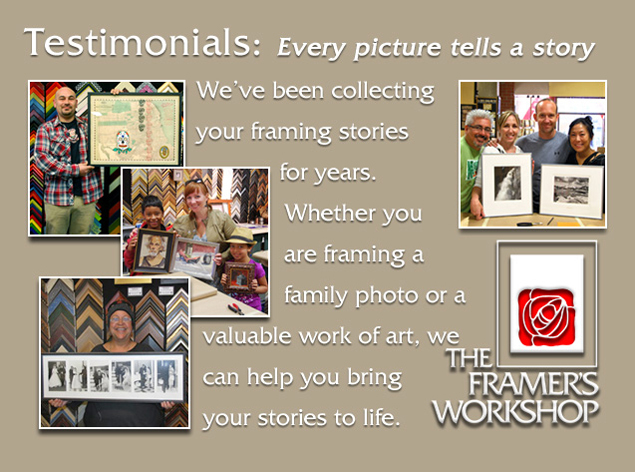 A Prosperous New Year from the Staff of The Framer's Workshop! 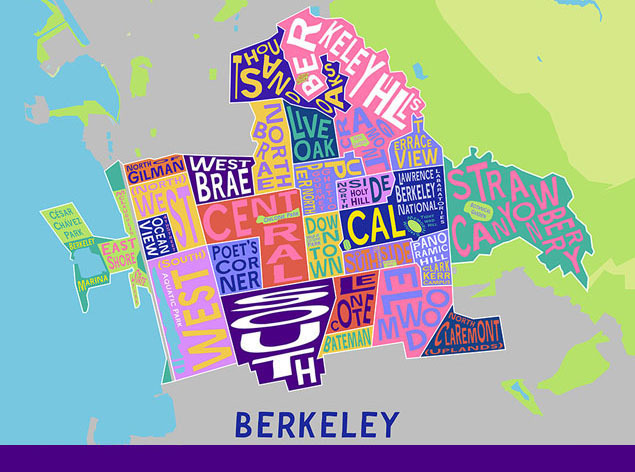 Print on Demand Kaleidoscopic Color Berkeley Neighborhood Map! 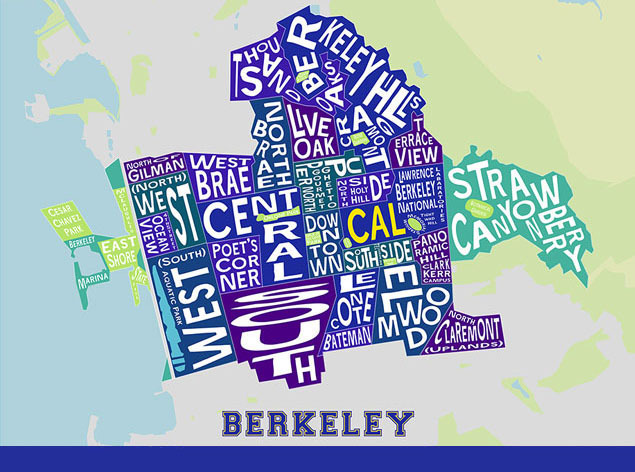 Print on Demand Collegiate Color Berkeley Neighbohood Map! 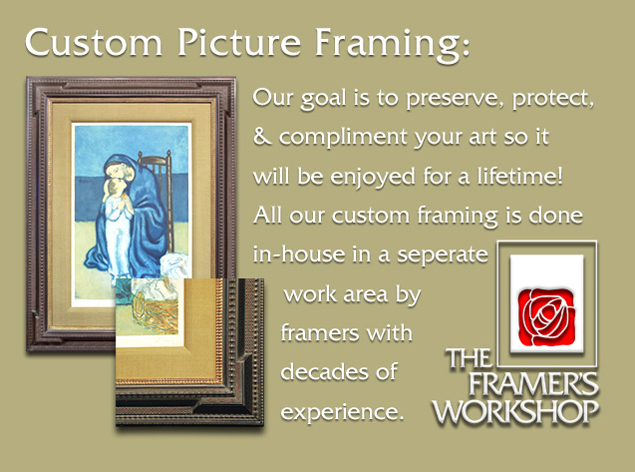 Learn more about Custom picture framing. 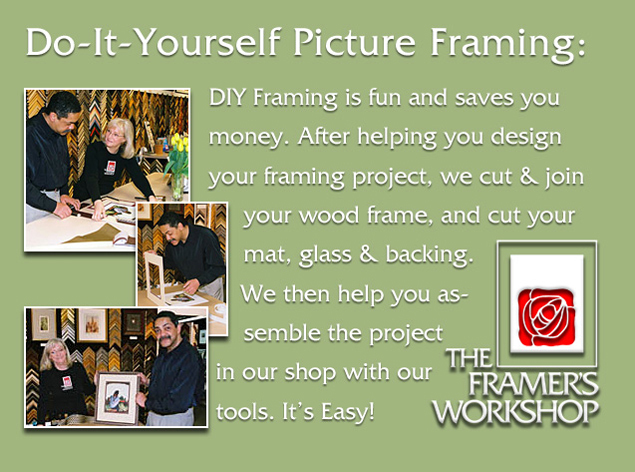 Learn more about Do-It-Yourself picture framing. 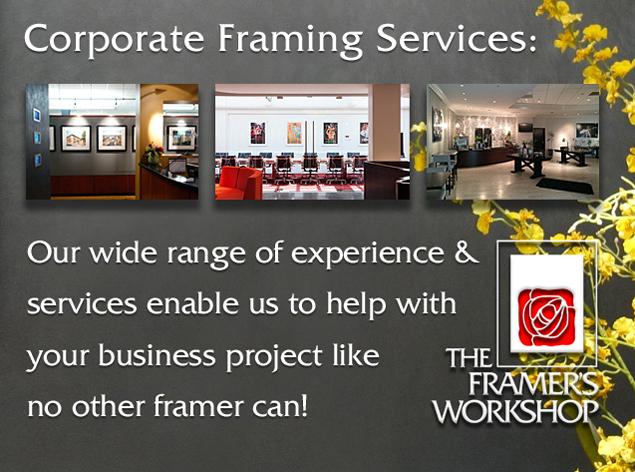 Learn more about our Corporate Framing Services. 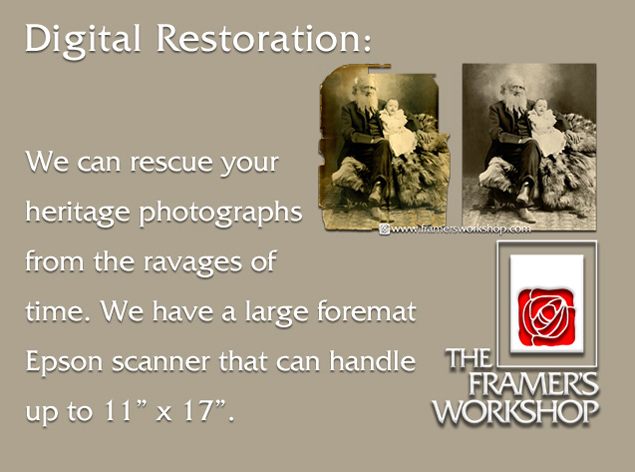 Learn more about our Digital Restoration Services. 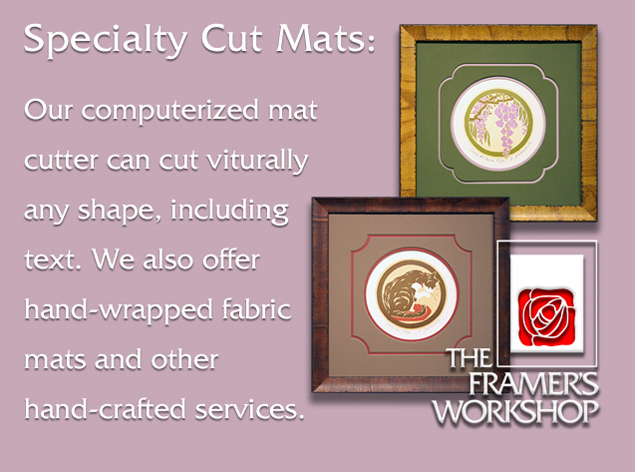 Learn more about our computer-cut Specialty Mats. 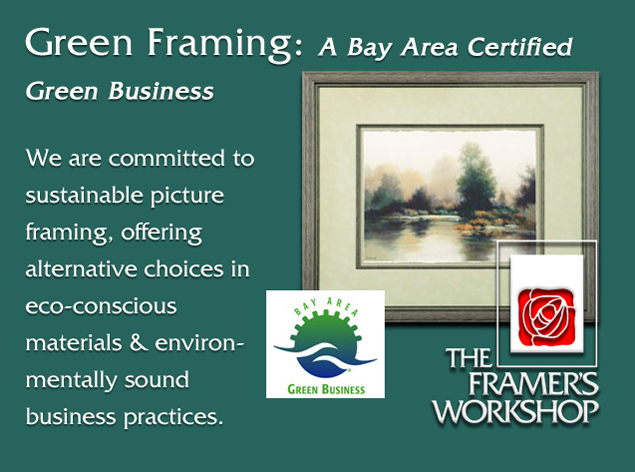 We're a certified, local Green Business. Explore our many Discount Options. 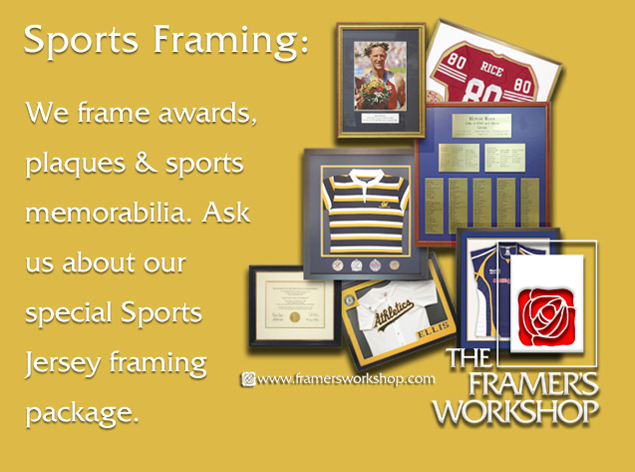 We're experts at framing Sports Memorabilia. 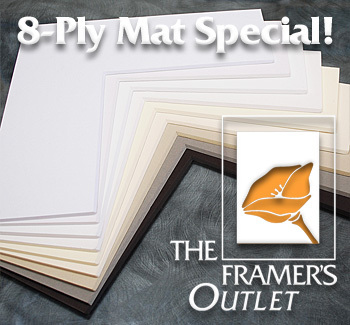 Learn more about Name Mats. 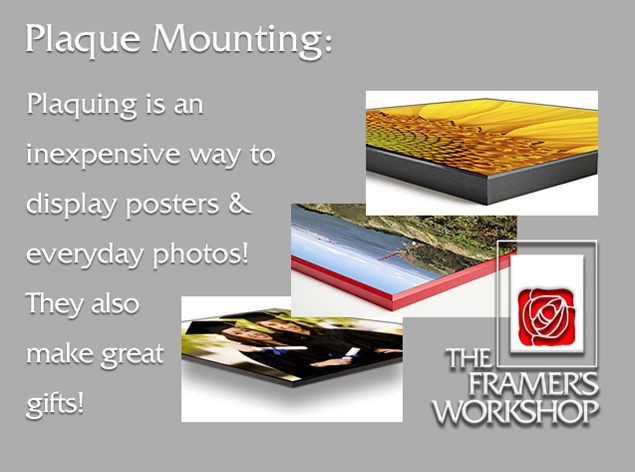 Plaque Mounting is an inexpensive alternative to traditional picture framing. 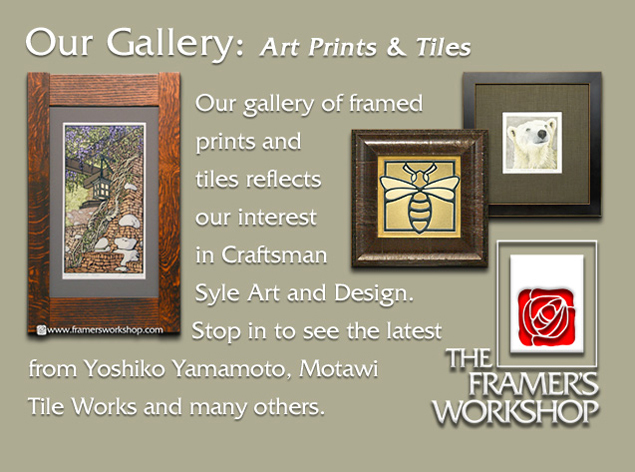 Our Gallery of Art Prints and Tiles. Click to read Cutomer Testimonials. 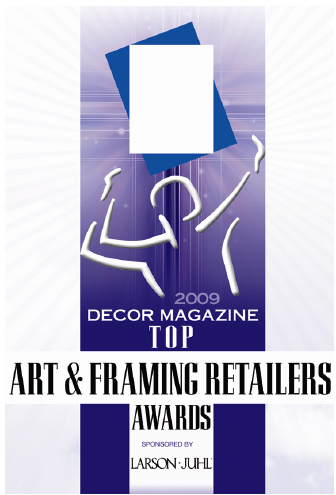 See Examples of our Picture Framing. 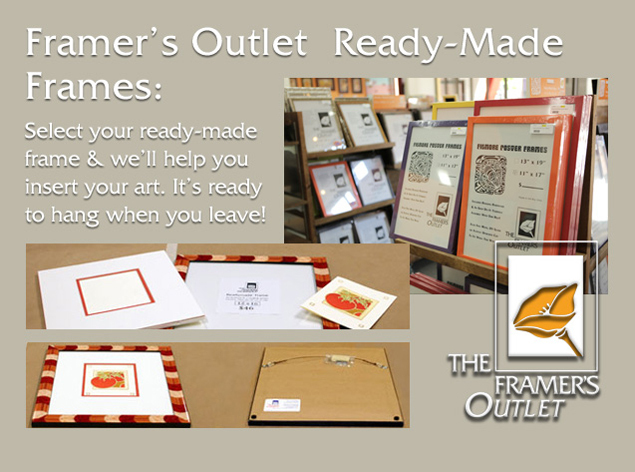 The Framer's Outlet is our sister store, right next door! Join our monthly E-mail Newsletter for Monthly Special Offers! 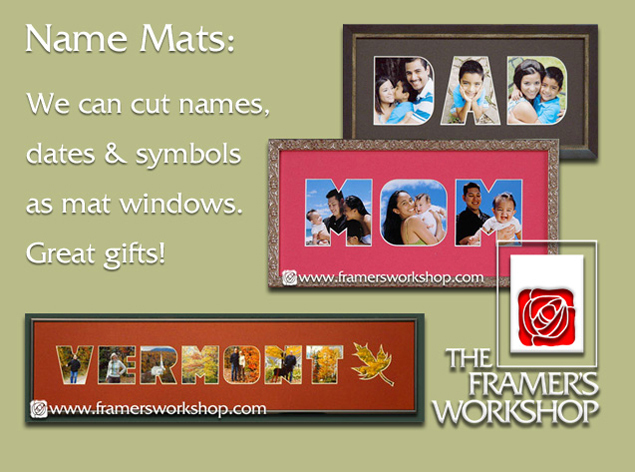 The Framer's Workshop & The Framer's Outlet are family owned, award-winning, Custom and Do-It-Yourself picture framing shops, located near the UC campus, in Berkeley, CA. Serving the Bay Area (and beyond) since 1977. 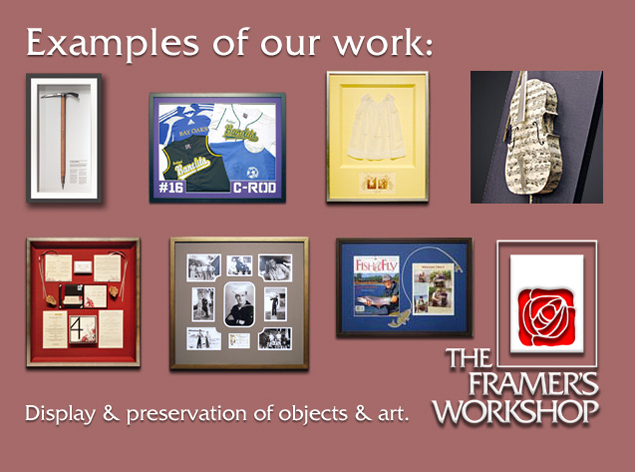 We offer preservation framing for individuals, designers, galleries, institutions and corporations. Please see our client list for details. 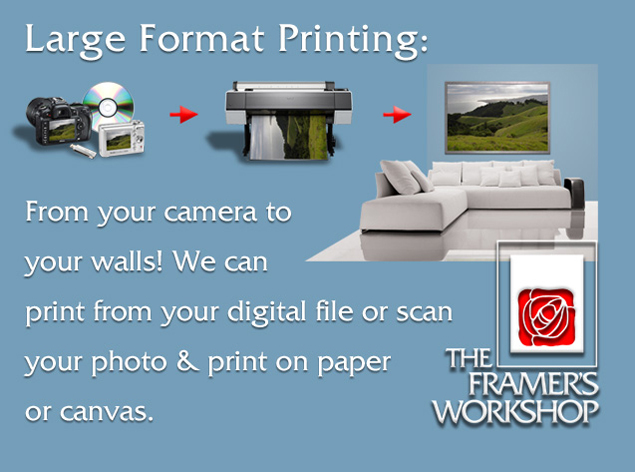 Our services include rush framing, discount options, plaque mounting, sports jersey framing, digital photo restoration, large format printing, "green" framing, and more. 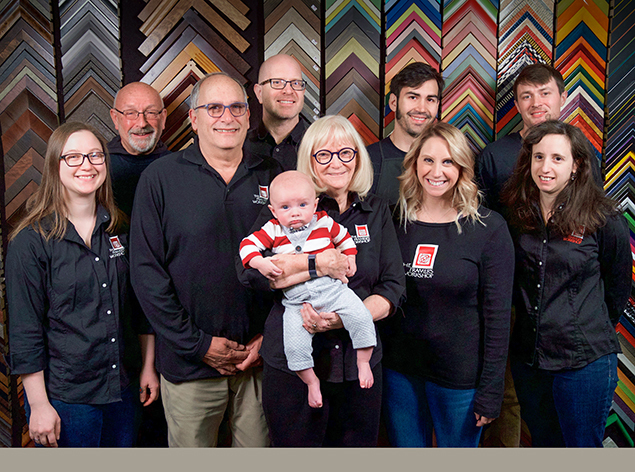 Our sister store, The Framer's Outlet, right next door, offers a wide selection of standard and unique ready-made frames. 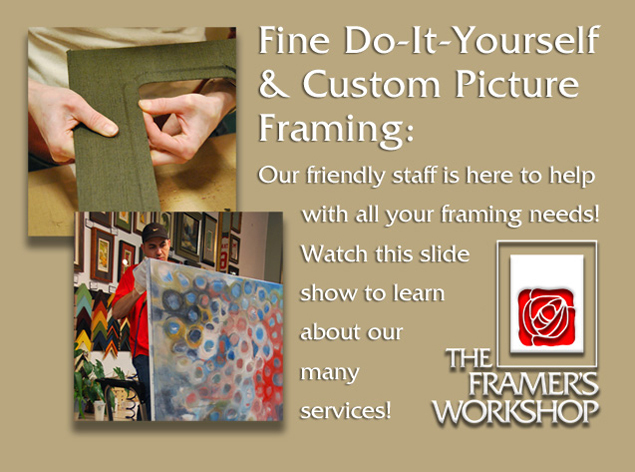 Whatever your framing needs, large project or small, our staff is here to help! 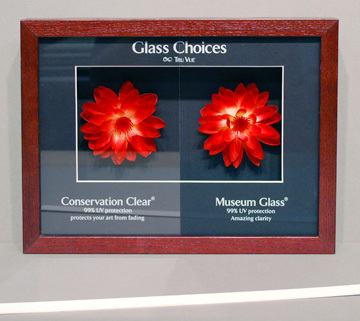 Design Your Own Frame with Prisma � Purchase Prisma Ready-Made Frames Online! 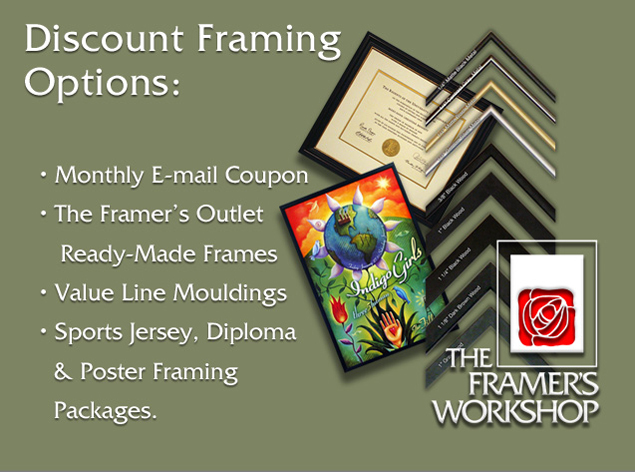 Check Out These Ways to Save at The Framer's Workshop! 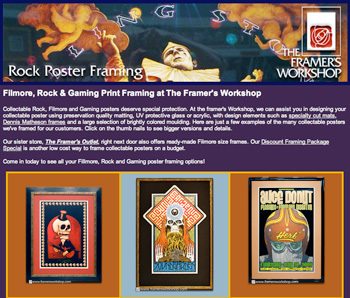 Gaming Prints We Have Framed!